These days anybody can be a movie maker and all thanks to the decent smartphone and video editing app. With these two things and decent creativity, one can capture high-quality video and make it outstanding. 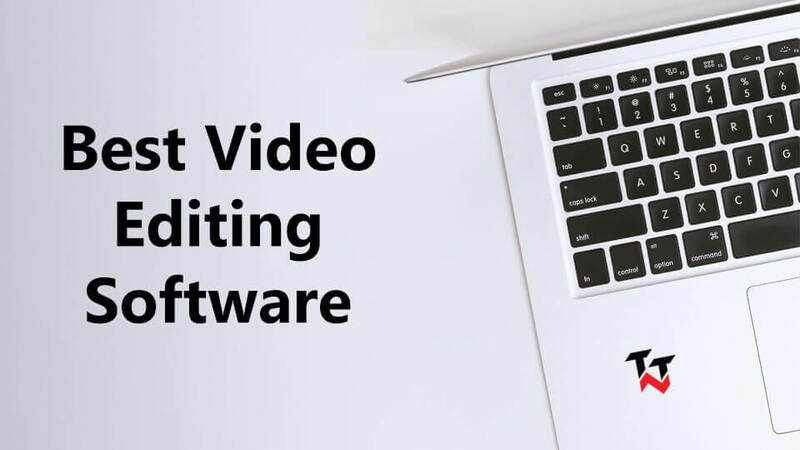 So if you are enthusiastic one, then today we are here with the best video editor software 2019. Let’s see top video editor software for Windows and Mac with the little description. Picking up adobe premier cc for the video editing is never a mistake. You will get full-featured video editor from one of the known names in this business. With it, the windows user can handle many video tracks which are transferred from any sources like files, tapes, cameras, and even VR. When you have multi-angle shots, then the automatic sync feature works as a treasure for you. The fine-tuning tools and excellent automatic functions make your video really awesome. Apple developed iMovie, and the great part is it is available for free to the users of iOS products. It doesn’t matter whether you are beginner or pro, it is the best video editing software for all. The interface is user-friendly, and the user can choose the video from multiple sources like DVD encoded files, images and digital video cameras. One can easily add texts and titles across the video. Users can add the artistic effect for the smooth transitions. An iCloud integration features in the latest iMovie version let the user access, edit or share the video from any Apple device. Isn’t it great? You can download iMovie for Windows to edit your videos. This versatile and powerful editing tool makes sense when you think to pay for it. It is a paid tool, but you will get a free trial of 30 days. So, you can decide whether you should go for it or not. For Mac users, it is one of the best video editing software. It is must have an editor as it is easy to use and packed full of features. The effect options, grouping tool, and the simple way to add & edit audio are some the features that make this tool outstanding. Multi-cam editing and intelligent color balancing are also highlighted features. You will surely love the Final Cut Pro as it will adjust your photos and iTunes files very smartly. It is a great all-rounder video editor that is suitable to most of the users. Adobe has known the name in the market and Premiere Elements 2019 is a great choice for the experts as well as beginners. It is easy to use with user-friendly interface and suitable to full-time video editors or the professionals. It comes with some excellent features like audio effects, face detection, and bundled soundtracks. The motion tracking and smart toning will make the editing easier. Even it is true for the video stabilization option and simplicity of editing as well. Some of the premiere elements include chroma-keying, transitions, opacity and a few more. The well-organized media library and smart search make it easy to find the draft and finished files. KineMaster provides a surprising amount of features good enough for professionals and beginners. Even you can try this software on your tablet and smartphone. It is available for iOS and Android devices. It’s the app for smartphone users that can compete with video editing software for PC or laptop. KineMaster comes with the features like add handwriting and text annotations, experiment up to four audio tracks, edit multiple layers, and accurately edit at a frame and sub-frame level. Many people use KineMaster to edit their YouTube videos. Though you can also use TikTok and TikTok alternatives to edit videos on your smartphone. Corel VideoStudio is preferable for the beginners instead of a pro-level person. It is easy to use, and all thank its straightforward user interface. The Real-time effects, color correction, multi-cam editing, 360-degrees VR video support, 4K video support, lots of effects and a music library are few features provided by this software. You will love this software after using it for a long time. Also, you will like the features provided in this cool video editor. For the beginners, it is a great option, but it does not mean that an experienced person wouldn’t like it. It’s good for them, too. So, we have seen the best video editor software for 2019. Hope you like the list that we have prepared here for you. In addition to these video editing software, you can try CyberLink PowerDirector, Pinnacle Studio, Nero Video, Sony Vegas Pro, Lightworks, Openshot, Filmora, Camtasia Studio, etc. As there are many video editing apps in the market, you should select one according to your need. If you are using any other video editor software then share it with us. Don’t forget to subscribe to our newsletter to get the latest updates.